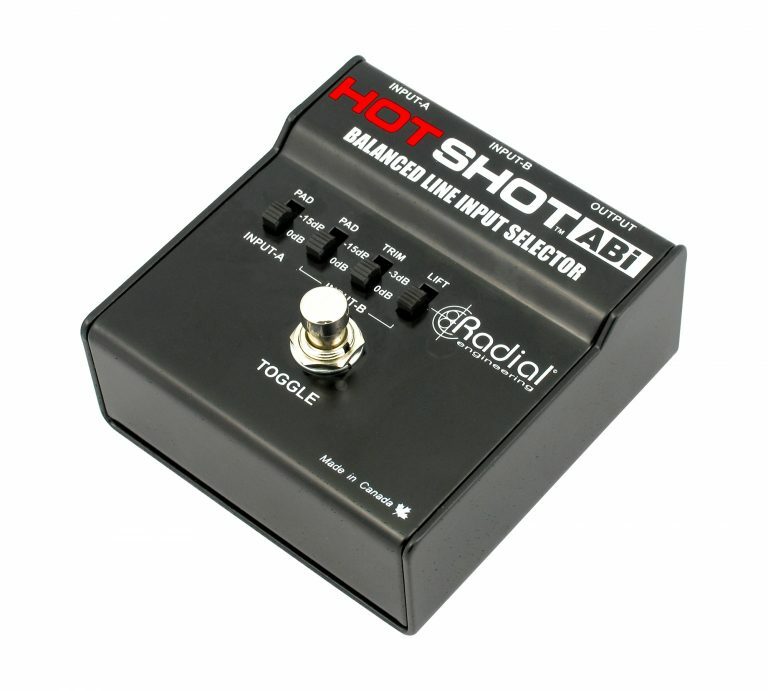 The HotShot ABi is a balanced signal selector that allows you to instantly select between two sources by depressing a latching footswitch. 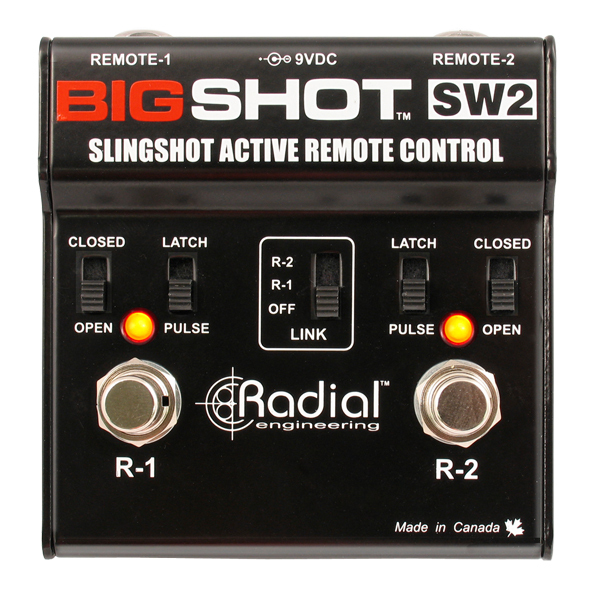 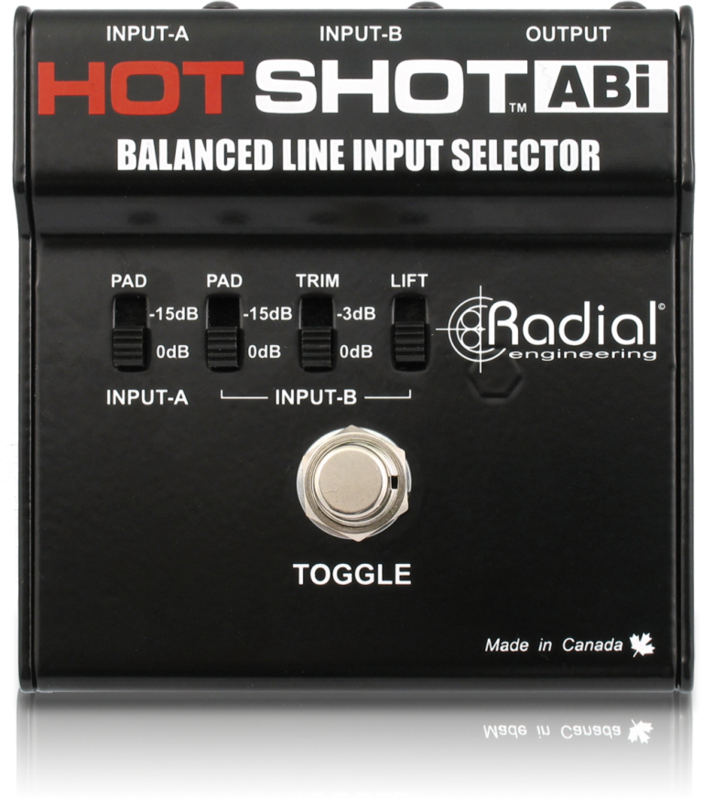 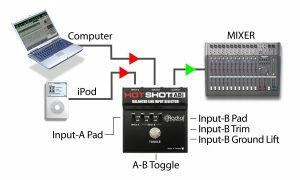 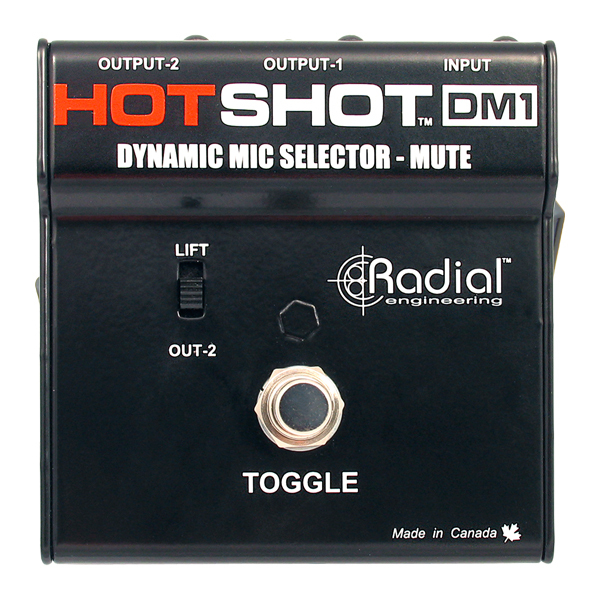 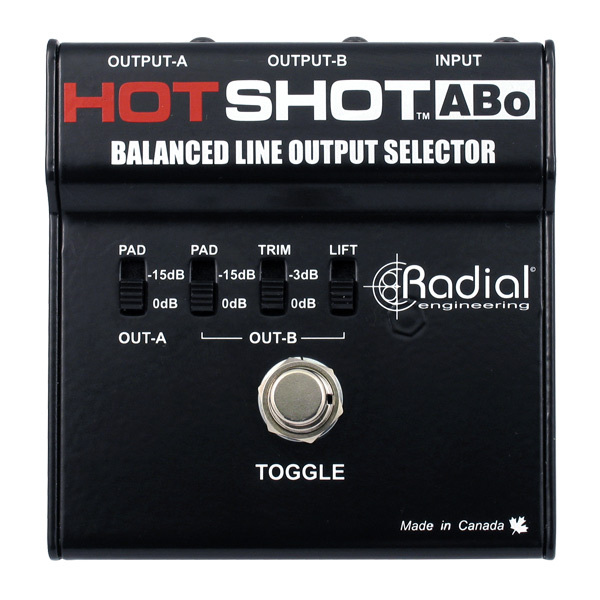 The HotShot ABi makes it easy to select between two balanced inputs on stage, with a single latching footswitch to toggle from one source to the other. 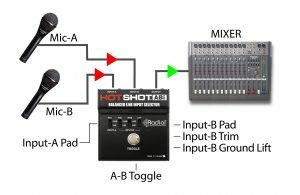 This allows an artist to switch between two dynamic microphones during a performance, freeing up input channels on your mixer. 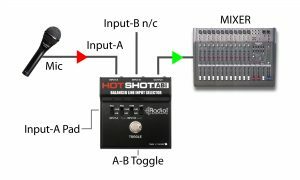 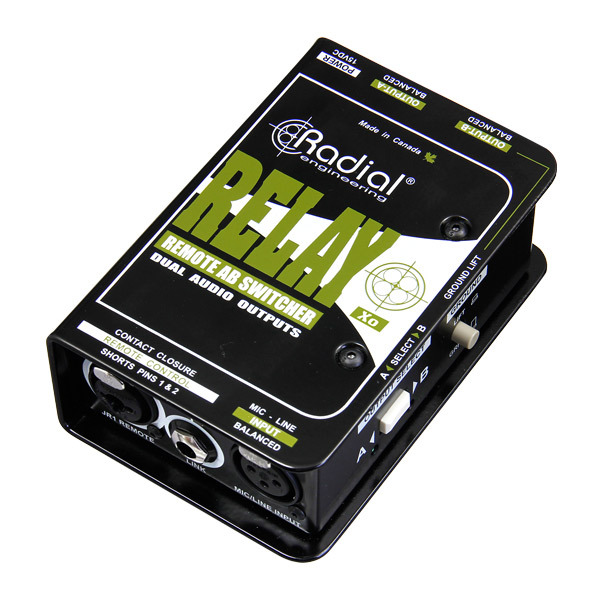 The latching footswitch also opens the door for other useful applications, including using the ABi as a mute to turn off a microphone, select between two wireless receivers, or switch between two mono playback devices. 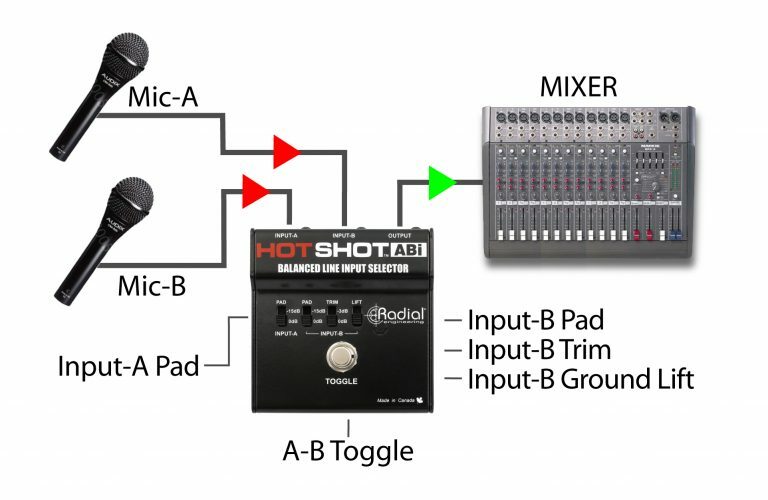 On some stages, the performer may want to switch between two wired or wireless microphones that are positioned at different locations on stage. 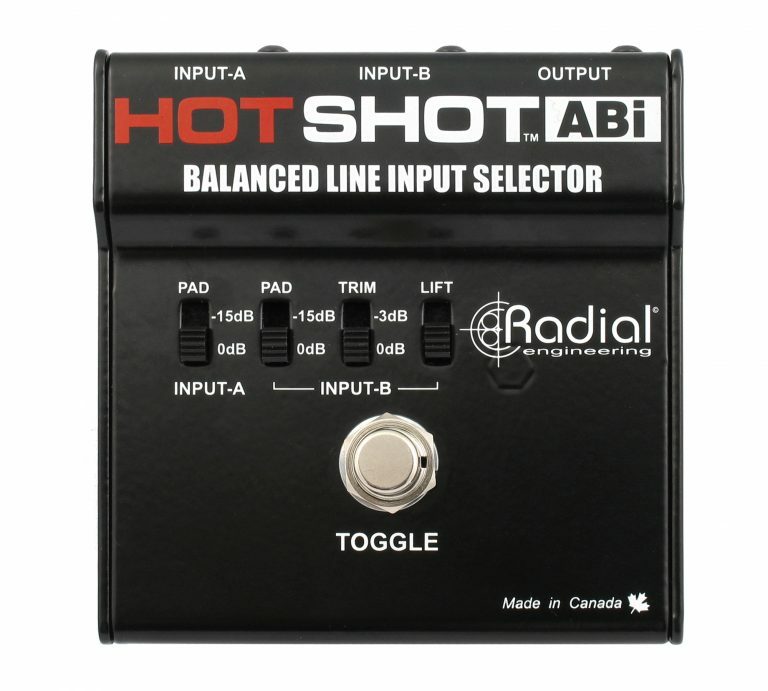 The ABi makes it easy to switch from one to the other with a single foot stomp. There are times when you want to quickly select between two mono audio sources. 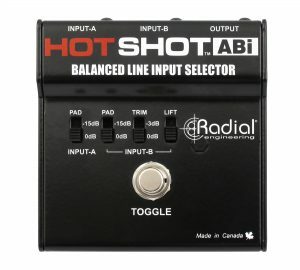 The ABi is perfect for this type of application. Simply connect the first device to input-A and the second to input-B. Hit the switch to select!